Honey-Ginger Roasted Carrots lend just a touch of sweetness—and sunny color—to old-school hummus. Adding ice water to the mix helps it emulsify smoothly. Serve with toasted whole wheat pita bread. It’s also nice as a pasta sauce (thinned with a little pasta water). Combine first 6 ingredients in a blender or food processor, and pulse to combine. With the motor running, add olive oil, then ice water, purée until smooth. Add salt and pepper to taste. 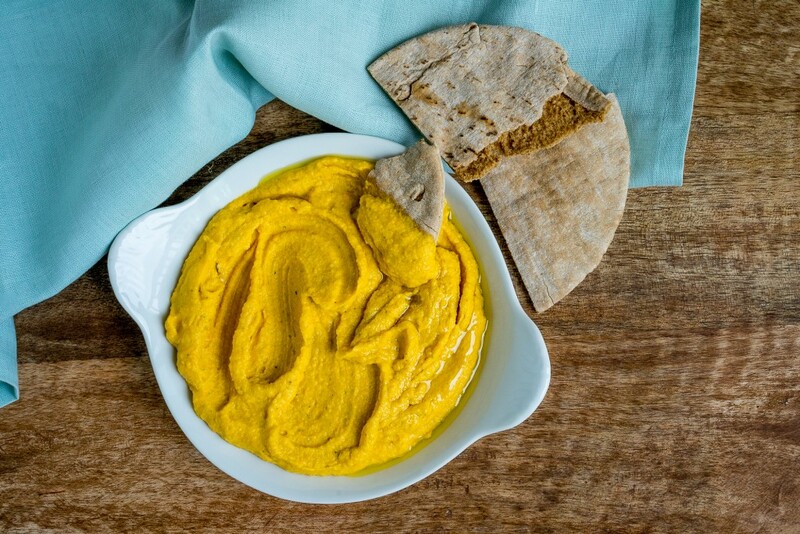 Scrape hummus into a serving bowl, swirling the surface with the back of a spoon. Drizzle generously with additional oil.